This is one of the hottest looks going right now. Women want this print in their shoes, purses, dresses, sweaters, and more. And for this beauty, it's all natural! God was the original designer of all things fabulous! I love giraffes. Thankful for a creative God! Oh the giraffe..Love it..oldest daughter and I want to write a children's book about Giorgie Girl and Alfred the giraffe..Giorgie is our newest granddaughter..I was shocked to see a giraffe..I think I got my fingerprint message..
Love giraffes! They are evidence that our God has a delightful sense of humor!! 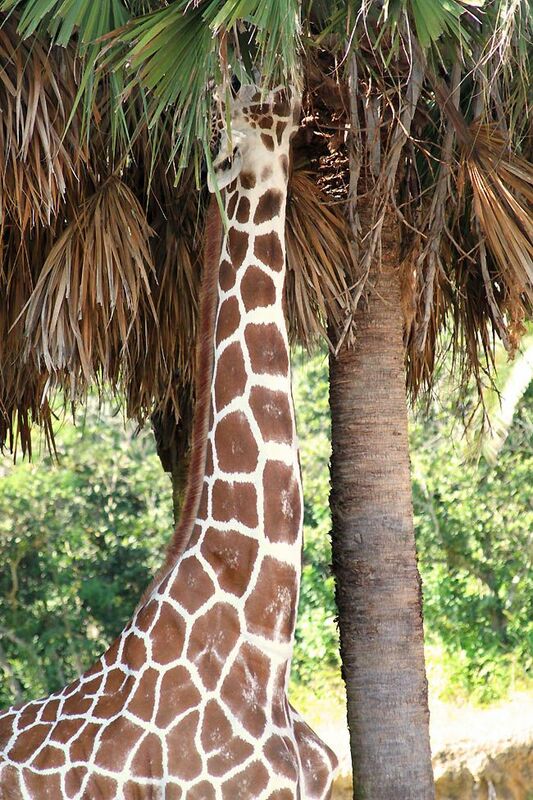 and regardless of what the catwalks would have us believe, it looks best on a giraffe! What an amazing pattern God created! I haven't seen giraffe designs yet but I've seen a lot of zebra stripes in clothes and shoes in our stores. Anything from the jungle, I guess!